Whenever we travel, walking is the primary activity – best way to see the places we go! However, today even Wilson, who walks a lot, was feeling the effects of walking for an entire day! 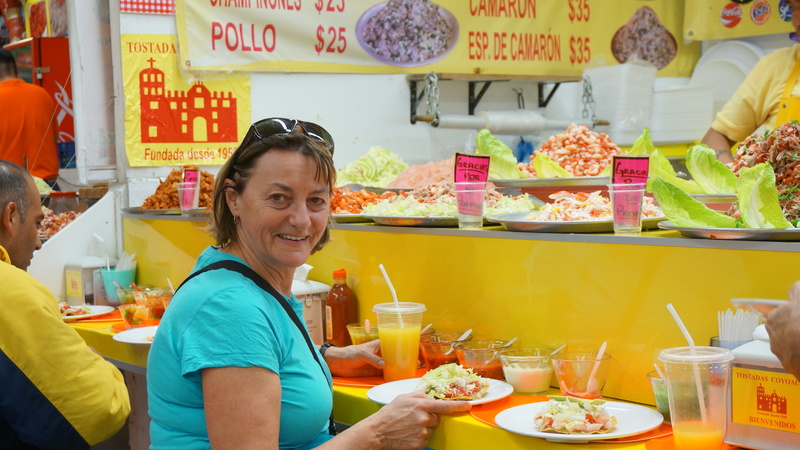 After a great sleep at our apartment, we set out this morning for breakfast at Las Bisquetas Obregon – a fave breakfast spot of ours that some of you have enjoyed with us …. Vivian and Wilson had their first taste of chilaquilles and thought it was a great breakfast (leftover tortilla chips in red or green salsa and served with your choice of egg, cheese, chicken). 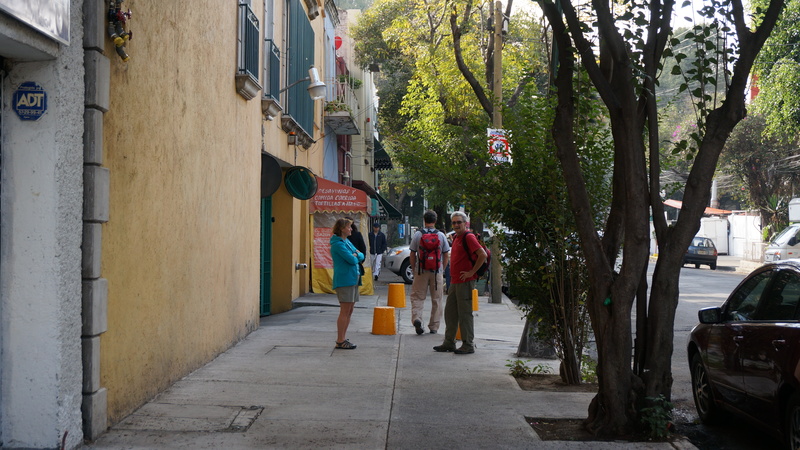 We then hopped subway to go out to the Coyoacan area. 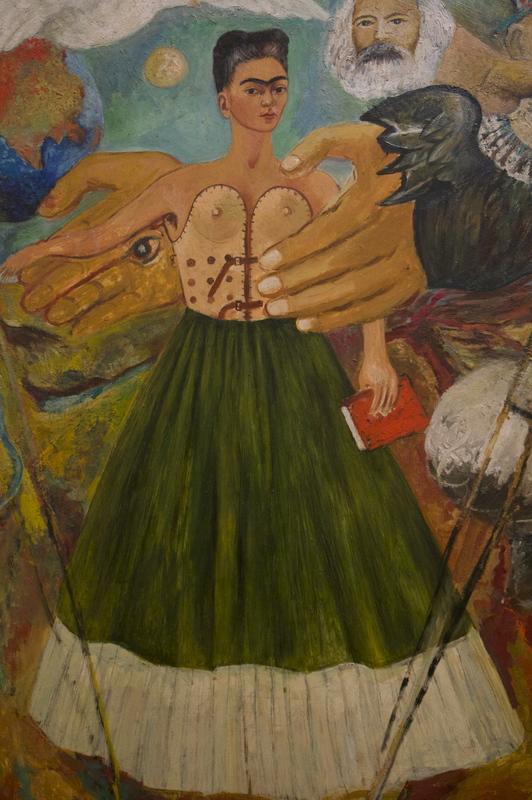 Frida Kahlo was raised in “The Blue House” which she and Diego Rivera eventually bought from her parents and lived in. 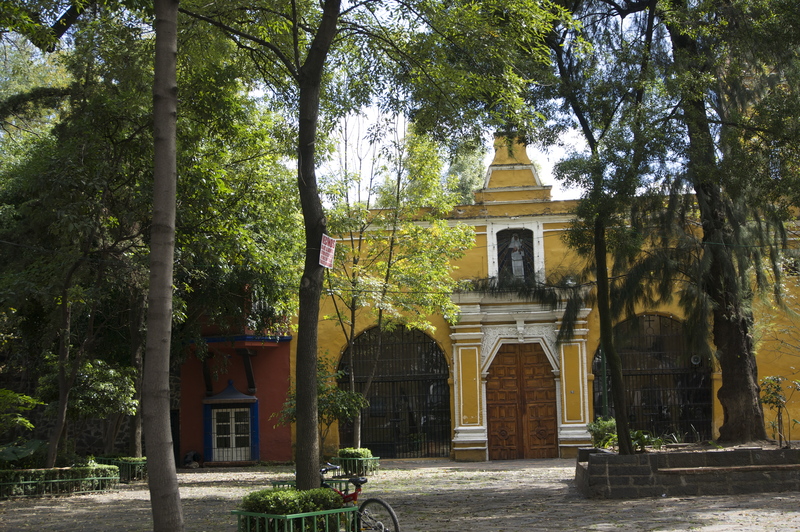 The entire area of Coyoacan is so beautiful, tree lined streets and an artsy vibe everywhere – just so relaxing and energizing at the same time. 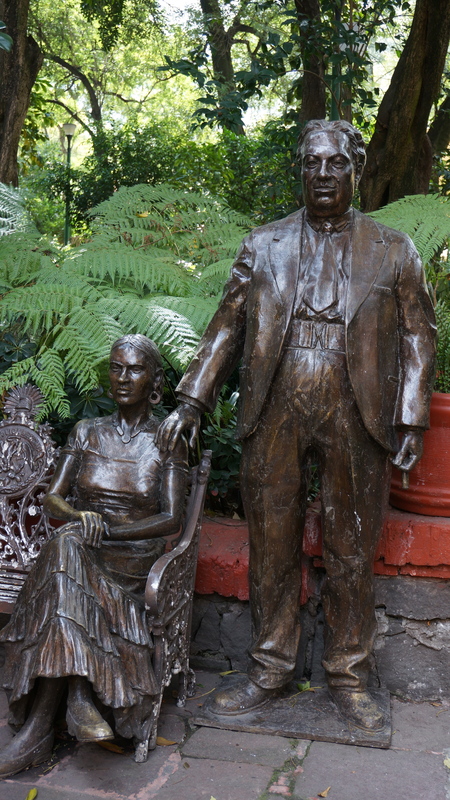 Everywhere you look you will see monuments to Frida and Diego along with their art. 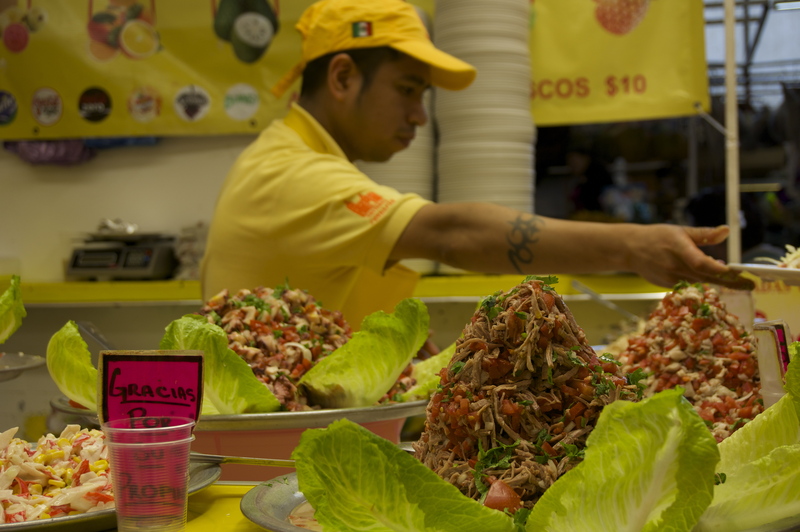 Prior to touring the Blue House (Museo Frida Kahlo) we hit the mercado for some tostadas – Tostado’s de Coyoacan caught our eye and we absolutely loved the fresh ceviche style prawns, crab and octopus. 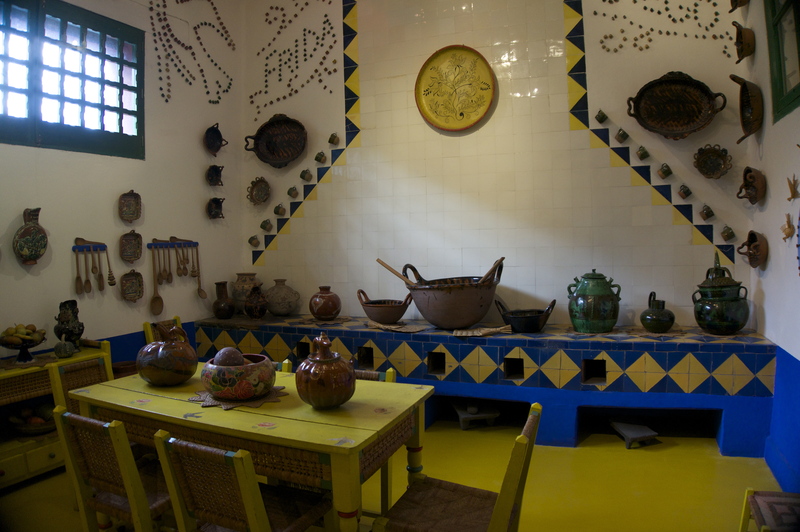 We toured the Blue House Museum – complete with art from both of them and personal artifacts. 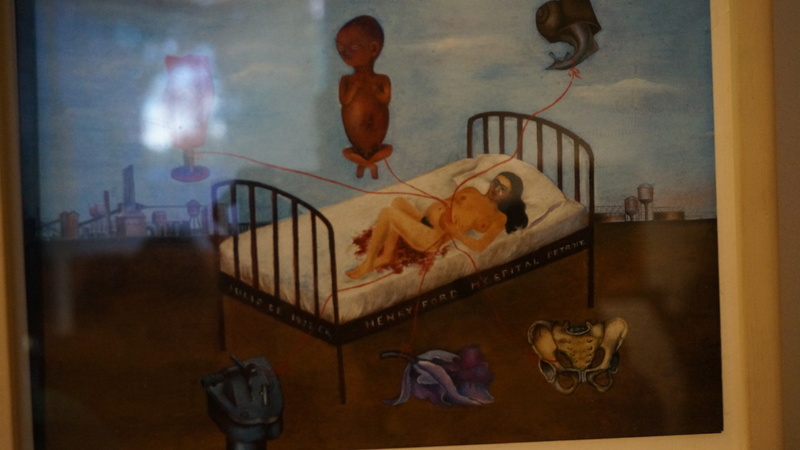 Frida’s studio is completely as she left it, with her supplies where she last placed them before she passed away. Since we were last here they have unlocked a couple of rooms that were sealed at her request, and they now have exhibits featuring her clothing, more unseen art, and perhaps what is the most challenging to view – all the paraphernalia it took to help her stay upright, and mobile to the best of her ability. The exhibits are magnificient and her sense of fashion just exquisite. Some of the displays of her clothing that were just uncovered demonstrate just how much a fashionista she was. I would have loved to take more photos, but this just wasn’t allowed. I did get some photos of a few pieces of art – seen here – along with a great photo of the kitchen and you know I love looking at kitchens! 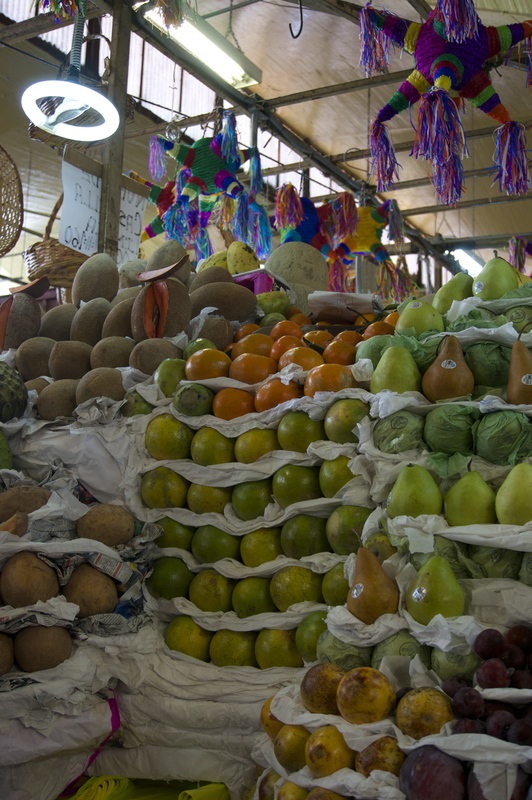 We took a taxi back to our area, and walked over to the mercado to get supplies to make our own breakfasts, along with a bunch of fruit and veg for snacking. After stocking up the fridge we set out for a little walk … ha ha ha – Grant’s infamous 5 blocks had Viv and Wilson both occasionally asking just where we were going, and if this place Grant had in mind actually existed. 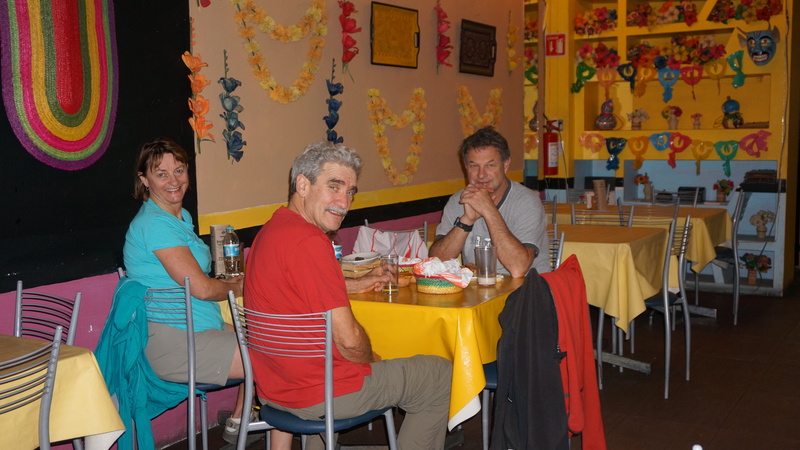 It did – photo enclosed, and we had a great dinner at Con Sabor de Tixtla. Not nearly as much complaining on the way back, especially because it was a much more leisurely pace!! I keep trying to get photos of their amazing food, but we dive into it as soon as it arrives!! Tomorrow may find us exploring the pyramids at Teotihuacan or poking more around the areas of Mexico City – we will decide tomorrow!